Twistfix are pleased to announce an exclusive special offer for November.­ Any customers who spend £1500 or more on basement water­pro­ofing membranes or damp proofing materials during that month will receive one of our HRV heat recovery units, worth £279.50, absolutely free. The autumn and winter months are infamously known in the trade as 'condensation season'. This is because of the combination of outside temperatures dropping and temperatures inside rising higher in compensation. Airborne water vapour condenses on cool surfaces such as walls and windows, forming droplets which run down the surface. The run-off soaks into walls and wood, causing dampness. Damp in turn leads to a whole host of problems, including substrate damage and health hazards from mould. Many studies have scien­ti­fic­ally proved what seems to be natural common sense: living in a damp house increases the incidence of respiratory illnesses and skin complaints, while the attendant mould releases spores which can trigger asthma, sinusitis and bleeding of the delicate membranes of the nose and throat. 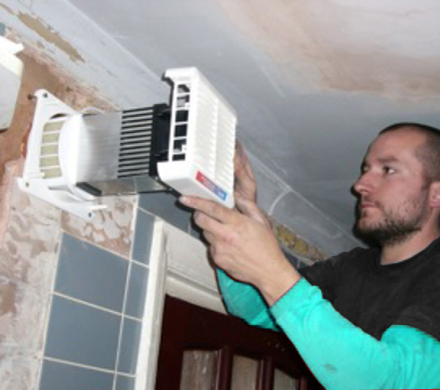 The Twistfix HRV 150 unit is unlike a conventional extractor, in that it contains two separate fans. One of these is designed to remove air from the inside while the second does the opposite, drawing in fresh air from the outside. The twin streams of air flow through an incredibly efficient heat-exchange unit via several alternating passageways, transferring heat from the extracted air to the incoming fresh air. These air-streams are never allowed to mix, which allows 80% of exhaust heat energy to be reused. 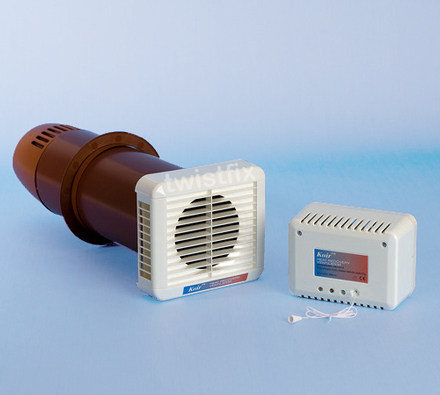 Highly effective at dealing with severe condensation problems, the HRV 150 runs continuously at a low speed to provide a constant level of background ventilation. If the innovative humidistat, similar to a thermostat but sensitive to humidity as opposed to temperature, detects high-levels, the unit automatically switches to its boost setting to quickly and effectively expel the moisture-laden air. 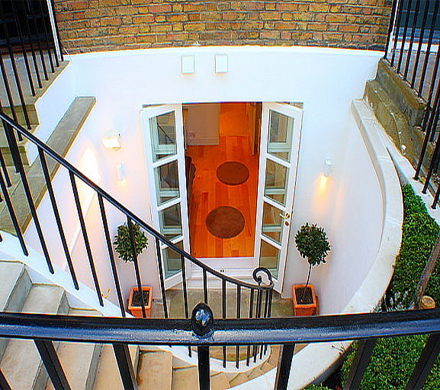 Basement conversions are steadily becoming more popular as the costs of renting or buying a property increase. Damp proofing is an especially important part of these projects and Twistfix supply a range of superior products to assist, such as waterproofing membrane, mould removal kits, damp proofing cream, sump pumps and more. Our array of high-specifi­cation solutions means getting the right tools for the job is a simple matter and we offer support and advice at every step. If you are planning a basement conversion or looking to reduce dampness, humidity and condensation elsewhere in the home then why not take advantage of our offer of free heat recovery units with any purchase of waterproofing membranes or damp proofing materials over £1500 + vat during November.